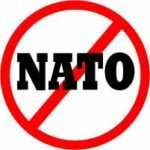 NATO was designed to be a stabilizing force, but since the breakup of the Warsaw Pact countries it has been just the opposite. 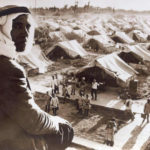 Professor of History at the University of Arizona, David Gibbs, talks about how a broken promise following the re-unification of Germany has made NATO a destabilizing force in the world. 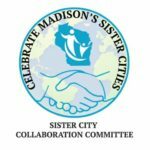 Jan’s continues to interview coordinators of Madison Sister Cities projects, this time with Daina Zemliauskas-Juozevicius from the Vilnius Lithuania Sister City project and Marc Rosenthal from the Arcatao El Salvador Sister City project. In advance of the celebration on April 27th, Jan talks with representatives of two of Madison’s Sister Cities, Jo Oyama-Miller from the Madison-Obihiro Japan Sister Cities group, and Rahel Sesalegne from the Bahir Dar Ethiopia Sister Cities group. 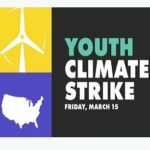 Jan interviews Grace Carpenter and Ella Kuntsman, organizers of the Youth Climate Strike at Madison West High School, about their work on climate change and their presentation of a Green New Deal at the Madison City Council this past week.